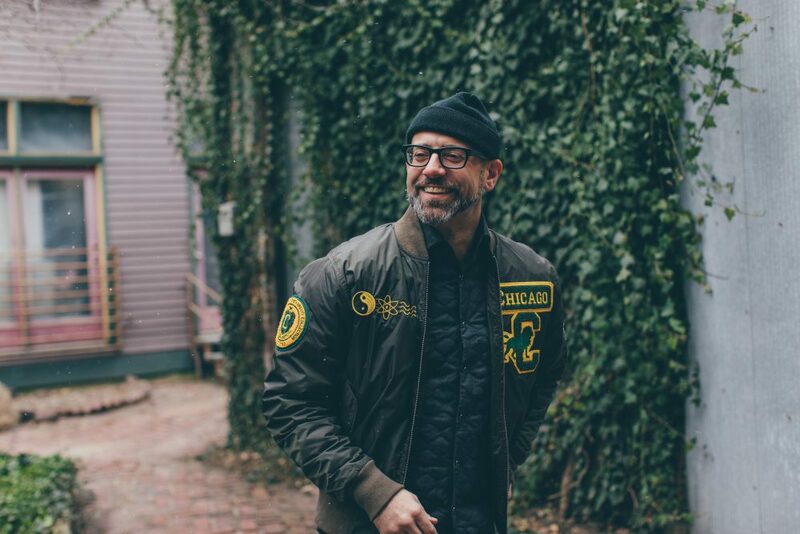 He’s been called Chicago’s poet laureate and for twenty years, Kevin Coval has been one of the loudest and most distinct voices in Chicago — through his poetry and his books and perhaps more importantly, his work with the Young Chicago Authors literacy program and Louder Than a Bomb spoken word competition that he co-created. 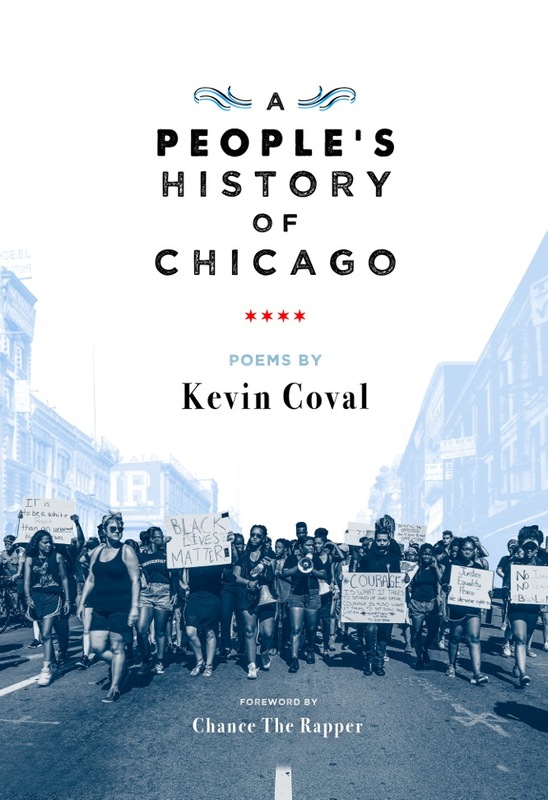 To coincide with the 180th anniversary of Chicago’s incorporation — city that he is synonymous with — Coval has released his seventh poetry book — “The People’s History of Chicago,” a book of 77 poems (one for each official Chicago neighborhood); which is a vast panorama of the city’s history, from well-known events like the Columbian Exposition and the Eastland Disaster to to tributes to lesser known historical figures like Rudy Lozano, Fred Hampton, Lenard Clark and Margaret Burroughs. Of course, Coval being Coval, the tireless 41-year-old is doing more than dropping another book. Like another famous Chicagoan, he’s making no small plans. His book is more of a campaign to document the history of Chicago from those who live it, especially those whose voices haven’t traditionally been solicited — young people of color, women, LGBTQ folks and the working class. Along with building an oral archive, Coval has plans to conduct 180 readings of his book over the next 365 days in every nook and cranny of the city. This while he continues to serve as artistic director for Young Chicago Authors and working with Louder Than a Bomb, the program in which teams of high school students from across the city compete in spoken-word events. The Chicago Ambassador’s Bob Chiarito recently spoke with Coval before the launch party of his new book March 3 at the Harold Washington Library (the official release is April 11). In the discussion, Coval talked about his book, his ambitious plans and how poetry has evolved from”something done by dead white dudes who were getting lost in the forest” to being accessible to young people from a variety of backgrounds. CA) How did you come up with the concept for your new book — “A People’s History of Chicago” It was a definite homage to Howard Zinn’s famed book “A People’s History of the United States,” correct? COVAL) Very much so. I read Howard Zinn’s book in high school. It was real, and had real elements of doing battle inside of my high school classroom. I was being politicized by hip hop and when I read A People’s History, it was really the second textbook, along with Lerone Bennett Jr.’s “Before the Mayflower: A History of Black America” that really began to tell a non-Eurocentric whitewashed view of history that I had encountered. Those were the important texts for me. I certainly want to pay homage to the importance and power of that text. CA) In your work, you focus on working people, people of color and people on the margins — Was this the same reason for your fondness for Nelson Algren and Studs Terkel? COVAL) Yes, absolutely. I feel very lucky to hopefully be in the lineage of Chicago literature and in the tradition of Nelson — a realist working class portraiture of Chicago. So of course Algren and Studs and Ms. Gwendolyn Brooks and my mentor Haki Madhubuti and many, many other Chicago artists and writers have had a tremendous hand in my own craft. Certainly I’m indebted to them and I swim in their stream. CA) You have made no small plans with this book. You came up with 77 poems for 77 neighborhoods and you want to have 180 reading in the next 365 days? COVAL) That’s the plan. I want to do a reading in every neighborhood in the city and a part of the plan is to also have workshop components combined with the readings. The purpose is to add to this growing notion of what the people’s history actually means. Part of what I want to do is build an archive with the Chicago Public Library and maybe an organization like StoryCorps and Young Chicago Authors and build this ongoing oral story archive of what it means to be in Chicago now and have people add their narratives to this history. CA) Hip Hop has been the bridge to poetry for you and the way you’ve brought it to kids for 17 years with Louder Than a Bomb. Can you talk about how Louder Than a Bomb was first received among poetry traditionalists and how it’s viewed now? COVAL) I think certainly there was a sense of resistance. I think when MC’s and rappers would identify themselves as poets there was resistance out of fear and racism truthfully. That they would have the audacity to call what they are doing poetry. The way it was taught to me and the way it was taught in the public schools for a very long time was that it was something done by dead white dudes who were getting lost in the forest. Poetry was dying in the museum of American white supremacy in a lot of ways. My intro into it was also through the Black Lives poets. There is a very large canon of indigenous folks in this country who use poetry to tell stories. For me, hip hop was an entry point into all of that. CA) What do you think about Bob Dylan, someone once viewed as an outsider and trouble-maker, winning the Nobel Prize in Literature this past year? Do you think eventually that may happen to someone in hip hop as well? COVAL) I certainly think it should. There are countless MCs and rappers who are deserving of not only that type of esteem, but Haymarket is also interested in publishing books of poems from rappers so I think we will move towards that. The way that we teach it with Young Chicago Authors and Louder Than a Bomb for almost two decades now is placing the verse of some of the finest hip hop practitioners next to the giants of the approved literary scene. These folks not only stand up to but sometimes exceed the literary merit of people who have been entombed in the canon for generations. CA) You’ve been quoted talking about a movement that’s been created from the ground up, composed of young people, people of color, women and queer folks. Can you describe what you mean by “movement” and what you would like that movement to do? COVAL) I think we are in the midst of a growing, progressive movement. I think you’ve seen in the city of Chicago people taking to the streets, organizing and holding the feet of the powers that be to the fire. Getting Anita Alvarez kicked out of office was a popular move but I think something that young people, young people of color, queer people and women of color were on the front line of when it happened. I think part of what is happening is that young people are taking the tools of culture into their hands in order to unleash their creative imagination into the civics sphere in order to imagine a reality that is different from this one. One of the things that we say a lot is that culture has very much to do with the influence of the politic and the politic ultimately will begin to change their policies. I think people in Chicago ought to be immersed in these creative cultural practices across genres. I think that’s a powerful thing, especially in a city like Chicago that is micro-segregated and often criminalizes the experiences of young people of color and working people. CA) Do you think the election of Donald Trump can help spark creativity and artistic expression in some ways? COVAL) That’s a good question. I think there is no silver lining. Having a fascist in office that values the various notions of white supremacy and the maintenance of uber-hyper capitalism is dangerous. I think always young people use tools of culture and their creativity to resist. CA) Chance the Rapper wrote the intro to your new book. He was one of many students who went through the Young Chicago Authors program since 1991 when it began. (Coval joined in the late 90s). How long have you known him? COVAL) I’ve known him since he was a freshman in high school and am really privileged to see him emerge. He’s an incredibly gifted writer and talent. CA) Louder Than a Bomb takes place March 12? COVAL) Yes, the semifinals are March 12 at the Metro and our individual finals are at the DuSable Museum on March 16. Team finals are March 18 at the Auditorium Theater. CA) The book comes out April 11 and then you’ll be doing your readings over the next year. Any plans beyond that? COVAL) I’m also working on the next book, which is twofold in some ways. It’s about gentrification in Chicago and around the country. It’s kind of rooted in Wicker Park in the 1990s but I’m also thinking about New Town in the 1960s and 1970s, which is the neighborhood that I was born in. So I’m thinking about those two neighborhoods specifically but also thinking about gentrification nationally. I’m working on that and there’s also this archive that I want to build with many people regarding this notion of the people’s history of Chicago.